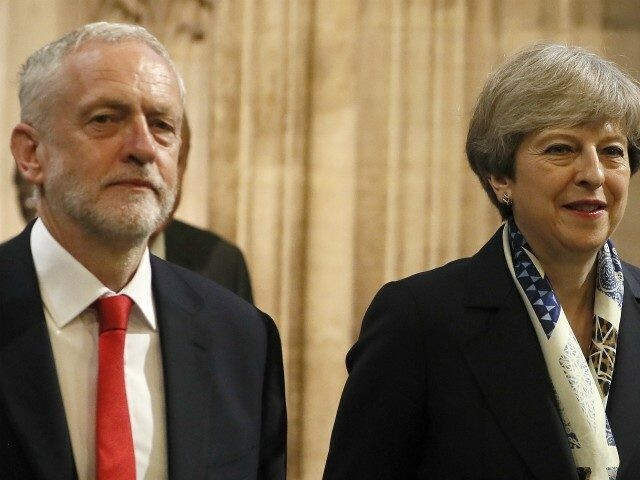 Labour leader Jeremy Corbyn has been criticised for allegedly calling Prime Minister Theresa May a “stupid woman” in the House of Commons. MPs returned to the House later on Wednesday afternoon, where Speaker John Bercow said that he did not witness the statement and said that all MPs must be taken at their word. The Speaker then invited Mr Corbyn to make a statement. “Mr Speaker, I did not use the words ‘stupid woman’ about the prime minister or anyone else, and am completely opposed to the use of sexist or misogynist language in absolutely any form at all. “I’ve got some advice. Look behind you! They are not impressed and neither is the country,” she quipped. A camera then panned to the Labour leader, who appeared to say under his breath, “stupid woman”. The far-left politician then left the chamber, with Conservative MPs later raising their objection to the alleged insult and demanding the Labour leader return and apologise. Speaker of the House of Commons John Bercow said that he does not have the power to recall the London MP, but would review footage and said he would expect Mr Corbyn to return if censure were necessary. A spokesman for Corbyn denied that he called Mrs May a “stupid woman” and had instead said “stupid people” — allegedly in relation to Mrs May’s Brexit Withdrawal Agreement. "Would it not be appropriate for him to come back and apologise?" – An MP's request for Jeremy Corbyn to apologise for apparently mouthing 'stupid woman' at Theresa May was refused by John Bercow.